My little learners absolutely LOVE pizza night at our house. I mean, who doesn’t love pizza? 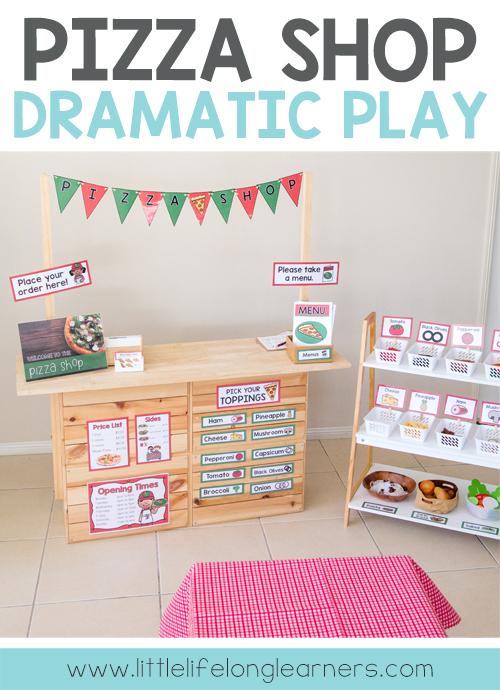 But it was no surprise that they absolutely loved our Pizza Shop Dramatic Play corner! Today I’d like to share some photos from our latest dramatic play centre with you! Dramatic Play is such a wonderful way to encourage early literacy skills and problem solving with our little learners. It’s also a really fun way to create some pretty special memories of play that will last a lifetime! I have such fond memories of my own mum setting up little play spaces like these for myself and my siblings. 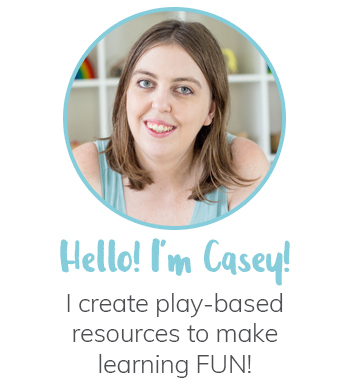 I get the warm and fuzzies thinking about how my own little learners will remember these play experiences when they have children of their own! 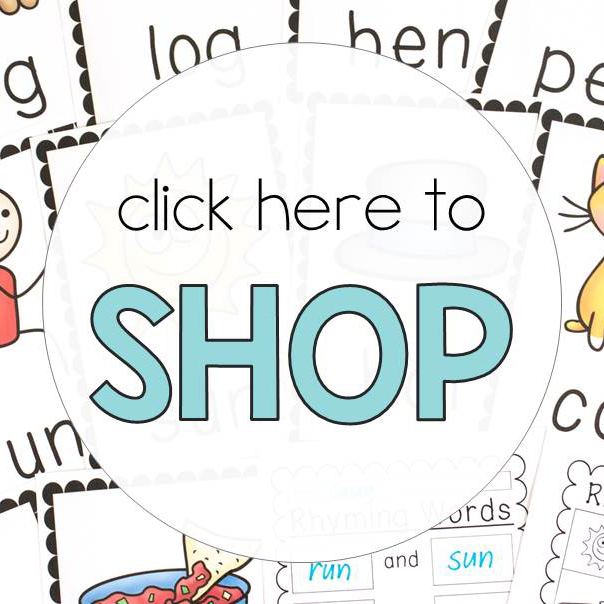 As always, I start by putting together the printables. My hubby helps me with the laminating and cutting so that our resources last for many years. This is an important step because my 4 year old often asks to set up our Doctors corner. We’ve been able to do this for her many times now thanks to the laminating step! It takes up a bit of time but it is worth it I think! Next we did our shopping! 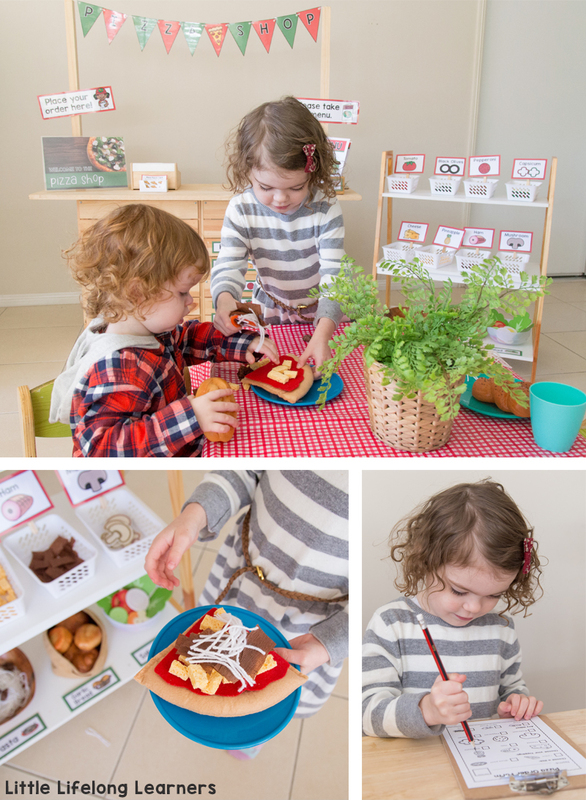 We had almost everything we needed for this dramatic play centre, but we still needed a few little things from the $2 shop. We got the checkered table cloth, the containers for the toppings and a few bits and pieces for behind the stand all for about $20.00. I also went to Toys R Us and got an extra Melissa and Doug Felt Pizza. We already had one set but I wanted some extra bases and pans! 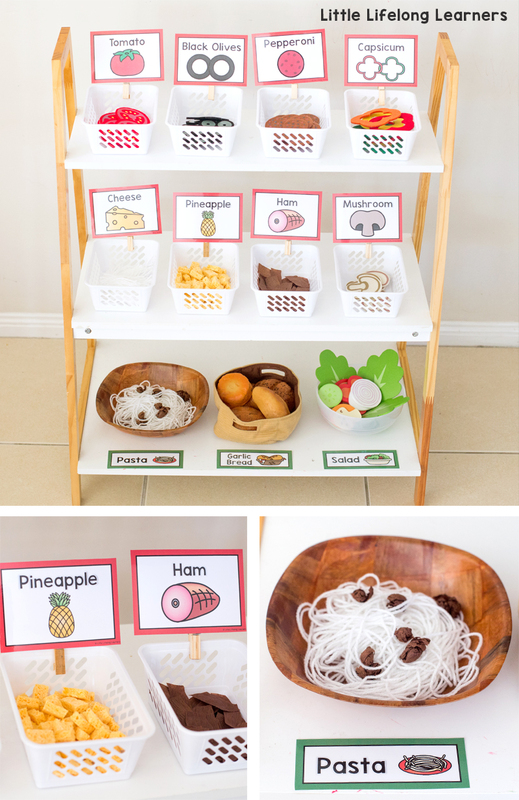 We also made some extra toppings like cheese from wool, pineapple from sponge and ham from crepe paper. Kmart had a gorgeous wooden salad set for $8.00 so we grabbed that as well. I attached the topping labels to some wooden pegs using a little piece of blue tac! Next we set up the market stand and all the printables! I just love how it all came together, especially the colours! I say this every time, but this set up is my new favourite! 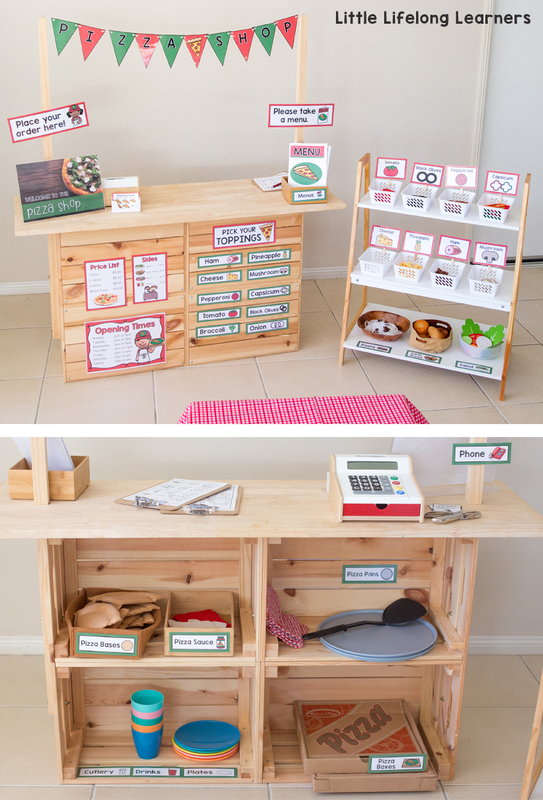 We used the front of the market stand to attach the different signs and labels available in my Pizza Shop Dramatic Play packet. We used the back to store all the utensils and bits and pieces that the Pizza Chef needed! 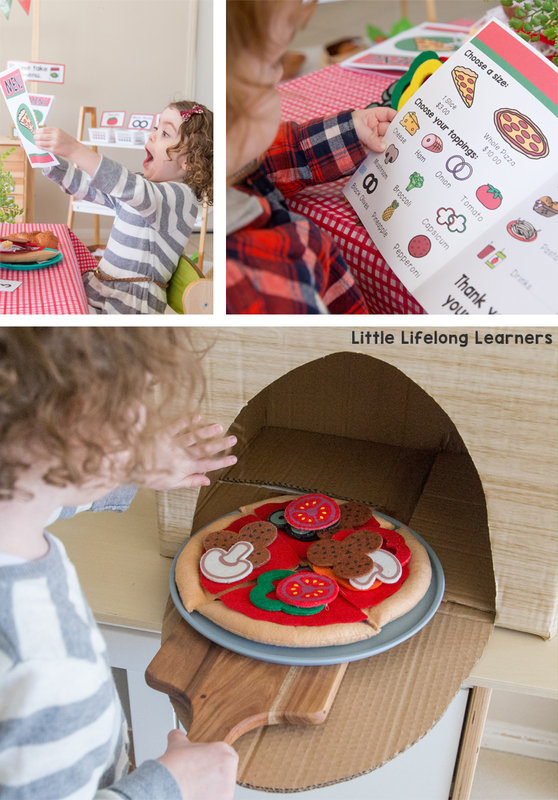 The Melissa and Doug set comes with the pizza bases, pans and boxes. They are such a wonderful investment so I’m really glad we got an extra one! The kids had SO much fun in this dramatic play space. It’s actually still set up in our living room and the kids are still coming back to it each day. My eldest in particular has really enjoyed taking everyone’s orders and then creating special one-of-a-kind pizzas just for them! It’s been so wonderful to watch! I just love the way both children used their menus to make an order as well! There are actually two different menus included in this set – one with only 6 toppings and another with all 10. This would be a great way to differentiate for different ages! We also made a DIY pizza oven using an old box! I had some leftover contact from our Kmart Kitchen Hack so I used that to cover the box and then my husband cut out the door for me. Then the kids just used a wooden cheeseboard from our own kitchen to place their pizzas into the hot pizza oven! 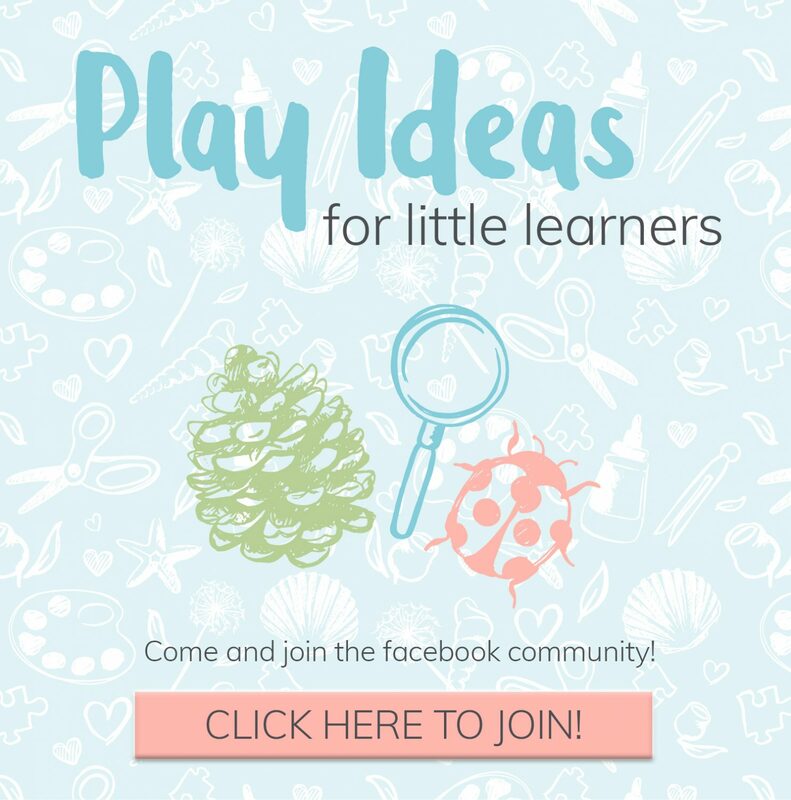 We’ve had SO much fun with this imaginative play! I’m going to be quite sad when it’s time to pack it up and rotate to a new Dramatic Play Centre! Ready to set up your own Pizza Shop?